This edit is faster, more to the point. The action and the madness of the vietnam war is on top. 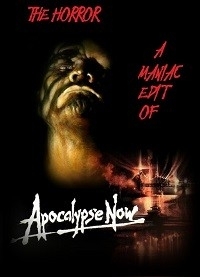 Apocalypse now was amazing, but a little to long, this edit has the whole story in 140 minutes. Sheen picked up by soldiers is cut. All the information Sheen is reading about Kurtz on the boat is cut. We know in the beginning who Kurtz is and why he has to die, so that's it. I didn't use any of the extra footage in the redux version, all those scenes are not in this edit. There are no playmates, so there is no time for fun. Some scenes of Dennis Hopper are cut. This was a pretty great fanedit. As much as I love "Apocalypse Now" this is a wonderful stream-lined version.